Protease inhibitors differ from other cancer-related dietary items in that the weight of the evidence of their protective effects is based on experimental and in vitro models rather than on studies in humans. 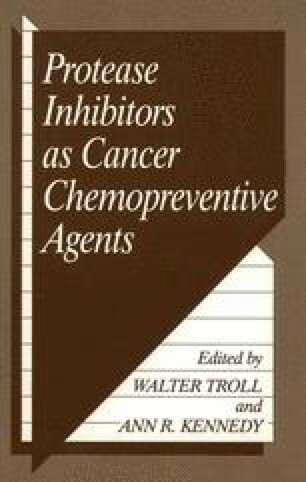 For that reason the present comments focus on how to approach the issue from an epidemiologic point of view, with the purpose of establishing whether or not there is a causal association between protease inhibitors and human cancer. The multifactorial etiology of human cancer is a generally accepted scientific proposition. Protease inhibitors, therefore, may be just one of the factors in a complex interplay of carcinogenic and anticarcinogenic influences.